The E-Z UP Hut 10 x 10 Instant Canopy Shelter by E-Z UP Canopies is sure to grab the attention of any and all passerbys. With its raised, gabled roof, you will be sure to stand out amongst the competition in both size and style. 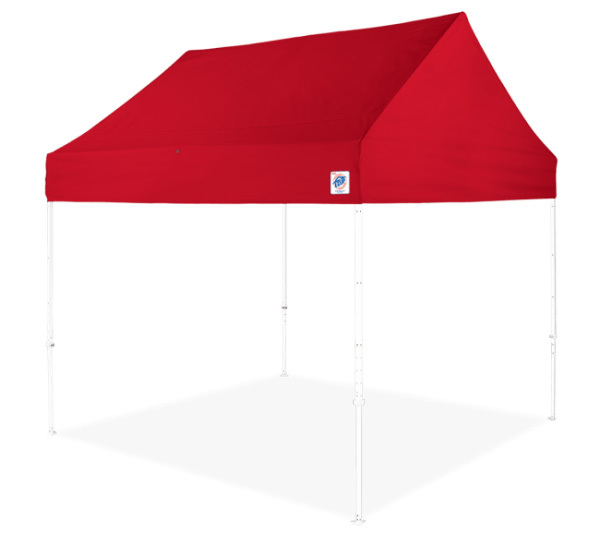 You won't have to be afraid of packing up and toting the E-Z UP Hut 10 x 10 Instant Canopy Shelter either due to its high-strength steel frame and professional grade colored top, which also meets CPAI-84 Fire Resistant Requirements. Wow your crowd with easy to view canopy top space so even the furthest away customer can clearly see your setup. When it comes to standing out amongst the competition, go with the E-Z UP Hut 10 x 10 Instant Canopy Shelter for an easy win.